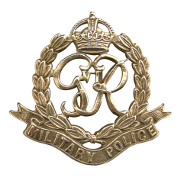 Notes: Essex Regiment attached to 4 Indian Div Pro Coy. 14/3/44 Died. 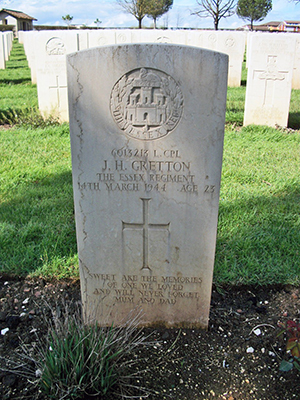 15/3/44 notification from 2 Indian Mobile Casualty Clearing Station that L/Cpl Gretton J was received dead from 16 Evacuation hospital on 14/3/44, died from wounds received on 13/3/44. 4 Indian Div Pro Coy Unit War Diary WO 169/18788. Inscription on gravestone: Sweet are the memories of one we loved and will never forget. Mum and Dad.